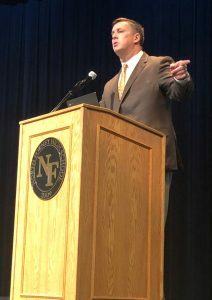 On Saturday morning around 500 High School Coaches, Coordinators, and AD’s from around the Region met at North Forney High School to attend to the business of the Texas High School Coaches’ Association and to listen to keynote speaker Matt Rhule, head football coach at Baylor University. After a welcome from Forney ISD Athletic Director Neal Weaver and blessing by Cedar Hill Head Coach Carlos Lynn as well as pledge to the US flag led by Arlington Martin Head Coach Bob Wager, Senior THSCA Regional Director and Head Goon Randy Jackson took over the meeting which began with recognitions of directors and presidents both present and past. 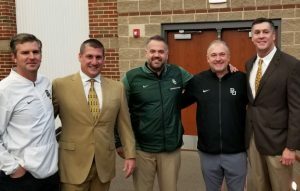 He then introduced guest speaker Coach Matt Rhule. 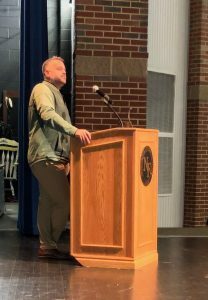 Coach Rhule always delivers both an entertaining and powerful talk, and his message on Saturday was about toughness and stamina, both for the student athlete and the school coach working to uphold critical values and processes in an often difficult environment. He talked of courage and consistency and how character is a most important trait of the aspiring athlete. It was an encouraging message for all and evidence of strong leadership at Baylor football. 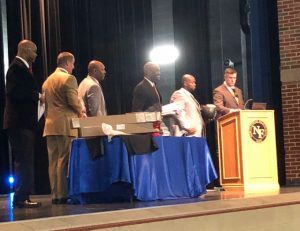 Coach Jackson then led the remainder of the regional business meeting, voting, and special presentations, and then presented door prizes for some lucky coaches in the audience. The meeting was a great success and very important for the THSCA and for the camaraderie and development of professional coaches from high schools across the region. 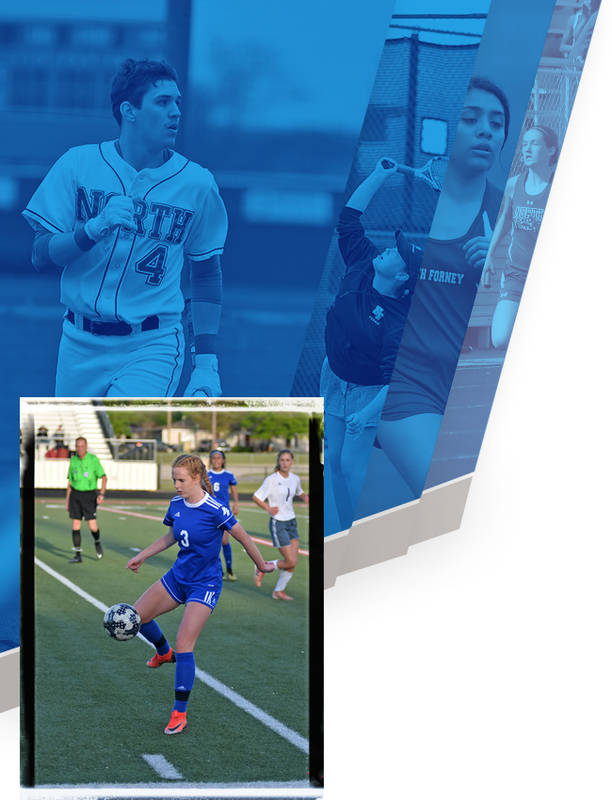 Special thanks to North Forney High School and staff for hosting and for the students preparing for the NFHS Black History Month program for adjusting their Saturday practice schedule so that this event could take place at North Forney High School. Also thanks to Forney Whataburger for breakfast for Directors and special guests. 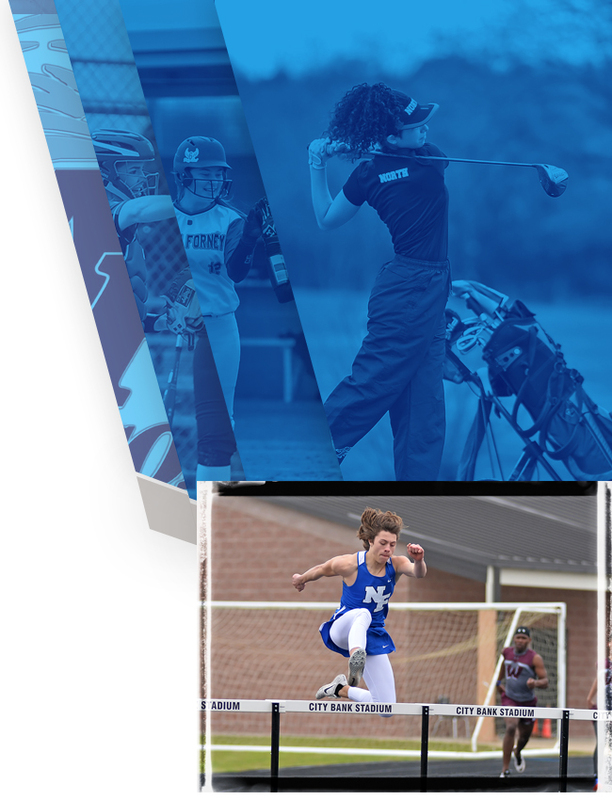 The THSCA is the largest professional coaching association of its kind in the nation and the work accomplished on Saturday by its members will have a distinct effect on school sports around the region.